These hickory sticks have an elongated tear drop tip for more contact sound when playing on cymbals. Hickory is dense, giving you more sound for less work, and also flexible enough to withstand quite a beating. 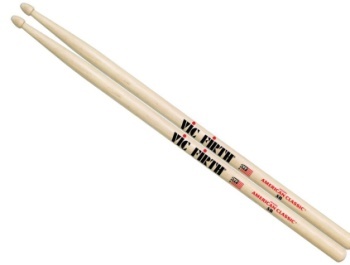 These sticks are heavier than the 5A sticks, more suitable for rock bands and concert snare drum playing. These sticks come with a distinctive white finish.